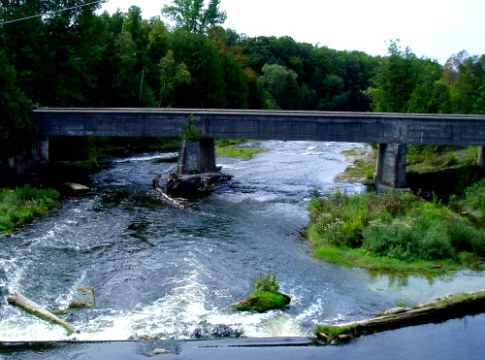 If you have driven through Sauble Beach towards Oliphant during the summer, you will have no doubt noticed people froliking in the rapids of Sauble Falls Provincial Park. It might seem odd that so many people are swimming in the Sauble River when the infamous Sauble Beach is within close driving distance, but the rapids offer a different experience and no undertow. Back when I was a teenager I camped under the stars at Sauble Falls, but there is much more than camping at this Ontario Provincial Park. The Sauble Falls were once harnessed for electicity but due it being an unreliable power source it was shut down in 1939. You can still get a glimpse of the buildings on the North side of the provincal park grounds. Now nature reigns at the park making it an ideal spot for hiking, swimming and canoeing. There is a route along the Rankin River from Sky Lake, through Boat Lake and finishin at Sauble Falls. The difficulty of the route is described as beginner to intermediate, but the trek will take you about 7 hrs and through 18 kms of waterways. 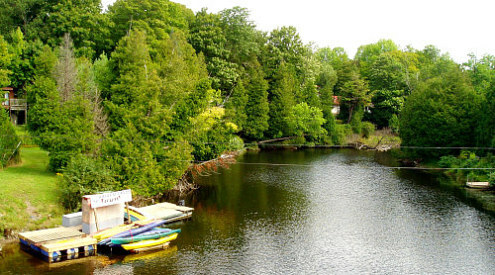 This canoe route has been used for many generations, especially by Native peoples travelling between Lake Huron and Georgian Bay. 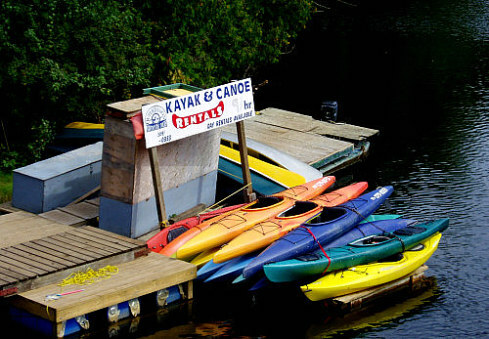 Sauble Falls also has camp sites available, from group sites to family sites, it can be used as a vacation destination, not just somewhere you come to for the day. There are 152 camp sites available but only 49 with electrical hook ups. 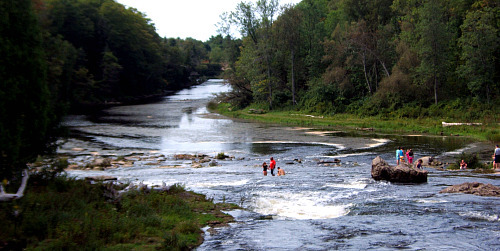 Sauble Falls Provincial Park and the Rankin River system also offer a number of hiking options if you prefer to enjoy nature on foot. The trails double as cross country ski routes in the winter months. Sauble Falls is a must see, especially if you are planning to spend some time in the Sauble Beach area. It is a sharp contrast to the beach scene a few minutes away. Return HOME from Sauble Falls Provincial Park.